I often wish that over my years of teaching I had kept track of some of the comments and happenings in my classroom. Those moments that warm my heart. Perhaps if there had been blogging back then, I may have! Still focused on the roll I reply, "You enjoyed that?" "I didn't just enjoy it, I LOVED it!" Wednesday: At the end of the day we are reading the 12 Tasks of Hercules. We have a bit of a conversation about Greek and Roman gods. Unknowingly I offend one of the Year 8 boys with my opinion about them. ( I only have limited knowledge of them based on Rick Riordan's books!). Fortunately his mother clues me in on how he is feeling. I realise I brushed over his opinion. I understand he hasn't felt heard, so the next day, while seemingly having a reading conference with him, I apologise for not listening to him properly, explain that my knowledge of the gods is limited, and after some deep discussion we are on the best of terms again. Thursday: After morning tea, we are again on Gamestar Mechanic and completing the next mission. I am watching the whiteboard, where one of the student's games is showing as he plays it. His Year 8 partner stands beside me viewing it as well. "What if we don't get this finished today?" he enquires. "It can be finished for homework." I reply. "Hmm, not bad, gaming for homework!" he says in his understated droll way, a slight gleam in his eye. Friday: Friday has a few large chunks taken out of it each week with other curriculum areas so we have shorter time for Literacy and Maths. This Friday I took the Literacy time to administer a STAR reading test. After morning tea, someone is demanding in the background, "When is Literacy today?" The look of disdain and disappointment on her face when she learns we've had it for today, warms my literacy loving heart! "Oh, says a Year 8 girl, I thought labour was the birth of a baby!" "Well when a baby is born, the mother does a lot of hard work, so I guess that is why it is called 'labour'." I reply. "Oh, I never knew that," she says, and others nod their head. And so the week ends. A week to savour! Is Daily Five for Ten to Thirteen Year Olds? 8? Eleven to thirteen year olds. In my opinion Daily Five is highly suited to working with this age. I have only been using it now since mid 2011, and I would never go back to any other way of organising my literacy. It gives students choice and they love that. It encourages them to be independent and take some responsibility for their learning. Students spend time reading and writing, rather than prepared sheets etc by the teacher. The teacher is able to conference one on one with students or.. The engagement of students is mostly 100% all of the time. So if you wanted to implement it in your class where might you begin? Obtain and read the book The Daily Five by Gail Boushey and Joan Moser. This step is essential. Read it and assimilate it. The process of setting it up is important, expect about your first month to be given over to this. Do this part well and you are set up for a great year. Obtain and read their book The Cafe Book, Engaging all Students In Daily Literacy Assessment and Instruction. Daily Five is really only the organisational structure, Cafe relates to the literacy teaching - they complement each other. Although not a daily five book I would also highly recommend The Book Whisperer by Donalyn Miller, to teachers of older students. This will really fire up your own enthusiasm for children's literature and enhance your Daily Five literacy. Prepare and begin. Don't be overwhelmed, it may seem difficult but it really is okay once you get going. In the beginning I taught all five aspects of Daily Five - Reading to Self, Reading to Others, Listening, Writing and Working with Words. As 2011 passed I realised that actually for older students not all five are needed. So for 2012 I have Read to Self, Writing and Working with Words. However this does not cut out the option of listening; some students might opt in their read to self time - to listen. As we generally have students at different levels of reading - read to others might be appropriate too as a choice. The great thing is Daily Five is flexible. A ten minute teaching time with the whole class - in the beginning this is about process and practice of the structure of Daily Five. Later this will become input around Reading or Writing or Vocabulary. A breakout, where students make a choice of what they are going to do - caution this comes after you have established Reading, Writing and Words work individually. During the breakout time I meet individuals and conference reading around reading and writing - or take a group for a short while. Another ten minute gathering time - more input from the teacher. Another ten minute input time. With older students breakout time is usually 25 - 30 minutes for me. It just depends on the day. Now not every day is a good day! 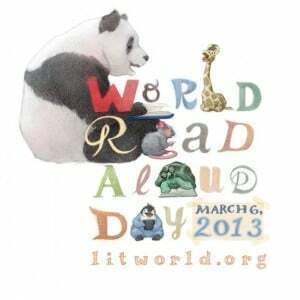 (I define a good day as heaps of time for literacy!) Sometimes we only have one round or two rounds on other days. I warn students at the beginning: today we have .... rounds. Then they can make their choice accordingly. The two sisters Daily Five website is another place to visit. I have a subscription to it because I find all the answers to my questions there! I started out with a three month sub to see if it would be useful to me first. It was! Excellent video that models so many aspects. If you don't subscribe at least sign up for the newsletter as it is great value. Follow or/and join in with the Daily Five chat on Twitter. It goes under the hash #d5chat. In New Zealand the chat time is on the 1st and 3rd Saturday at 1pm. That is Friday evening in the States. If you have a question, as you decide whether it is for you - don't hesitate to ask. 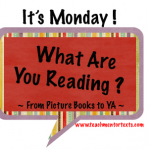 This past week I have been reading The Mark of Athena by Rick Riordan. 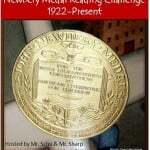 It was the usual enjoyable roller coaster of: into one challenge, out of it and into the next. I especially enjoyed the humour, and often found myself chuckling out loud. As these characters age, a little more romance has been introduced! Of course in true style it ends with a cliff hanger. I found I had to keep my wits about me as I read as there is so much to remember about relationships and gods.... One of my students is well prepared for this book, he has read the previous one a couple of times, so I am sure he is enjoying this one at the moment. In the meantime I have this one finished and ready to go into the hands of another boy, who asked could he have it as soon as I had finished. The boys in my class are the ones who enticed me into reading these books, now I am in the process of trying to get more girls hooked. I can't see why they wouldn't be. My read for the coming week is Dead End in Norvelt by Jack Gantos, this year's Newbery winner. I haven't read anything by him before so I am looking forward to it. 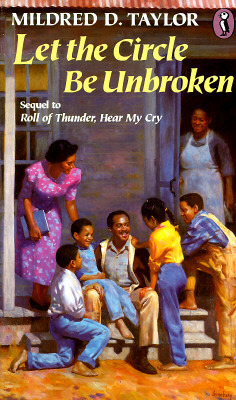 The sequel to Roll of Thunder, Hear My Cry. This book was good but I wasn't as caught up in it as Roll of Thunder. I notice some of my students now reading Roll of Thunder, so maybe they will give this a go, possibly! 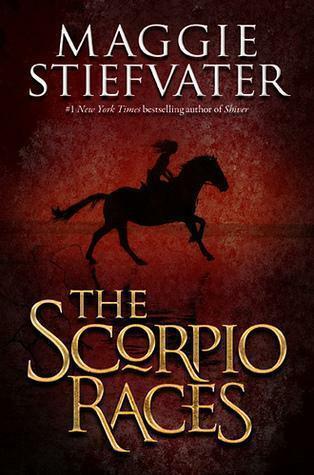 The Scorpio Races - I am sure lots of readers have loved this. The writing is very good and the story is as well. It just didn't appeal so much to me because of the violence. However now having taken part in #titletalk chat just now, I think I will book talk it and see what happens in my class. My class know I don't like gore in books - however they probably handle it better! 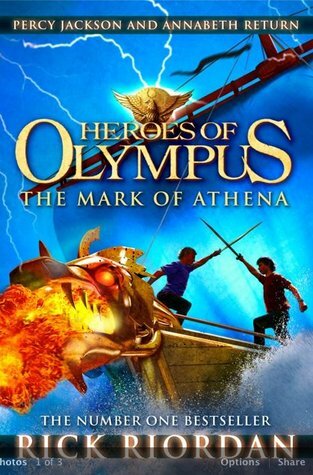 I am not sure what I am going to read in the coming week, I am hoping Rick Riordan's latest will be in our NZ shops tomorrow but not sure. If it is I will be reading The Mark of Athena. One of my students wants it after me - we are on spring break here, so I should have it read by time we go back to school.